Here are the new shelves I put on the wall in the kitchen.. In a small apartment, one must make good use of space. These shelves give me more storage space in a place where I would otherwise not have anything (except perhaps a painting). 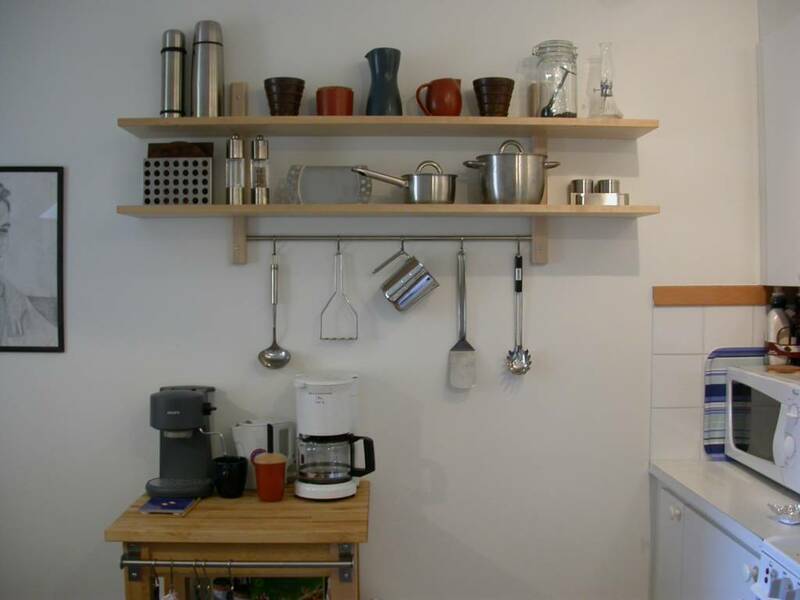 I decided to put primarily stainless steel and stoneware on the shelves. This gives the shelves the appearance of more than mere storage -- it's art!